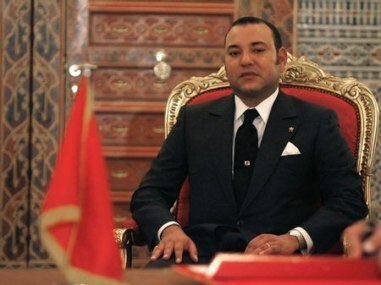 RABAT — Morocco’s King Mohammed VI on Friday pardoned 14 prisoners and commuted the sentences of 954 others, on the eve of his coronation’s 12th anniversary, the justice ministry said. Royal pardons are traditional on Throne Day, which will be marked Saturday in a tense political climate, as the king attempts to prevent any contagion of the Arab Spring that is sending regimes tumbling across the region. He is due to deliver a much-awaited speech Saturday, his first since a July 1 constitutional referendum curbing some of his prerogatives was overwhelmingly approved. Yet far from nipping democratic aspirations in the bud, the vote fueled popular demands for greater social justice. Thousands of people gathered in several cities on July 17 for rallies demanding more sweeping reforms of the Arab world’s oldest reigning monarchy. The date of the upcoming elections is a subject of regular negotiations between the interior ministry and the country’s political parties but has remained undetermined so far. Morocco’s youth-based February 20 movement however is calling for fresh rallies on Sunday to continue pressing for a parliamentary monarchy. Figures published last week show that youth unemployment stands at 16.7 percent but the regime upped subsidies on basic goods and hiked the salaries of civil servants. “The state buys civil peace by giving in to all types of blackmail, in order to ensure that political demands affecting the real core of power are dismissed,” economist Fouad Abdelmoumni said.